Add a splash of glamour to even the simplest outfit with this decadent jewel embellished belt by Marina Rinaldi. The finishing touch to a special occasion ensemble this stunning belt will look fabulous with the cream satin tunic by the same designer. 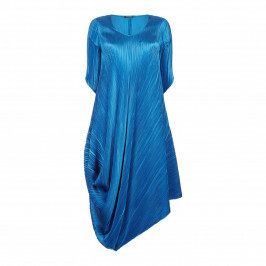 Alternatively, wear it with a shift dress to define the waist. Belt in coated effect material, lined in duchesse silk, with square buckle decorated with jais. Belt: 65% triacetate, 35% polyester; Back polyurethane. No special treatment is required to take care of Marina Rinaldi accessories. Normal care is sufficient to maintain their appearance and functionality over time. Model’s height is 180cm (5ft 11in). For more information, please call customer services on +44 (0) 20 8455 0005, or one of our stores.